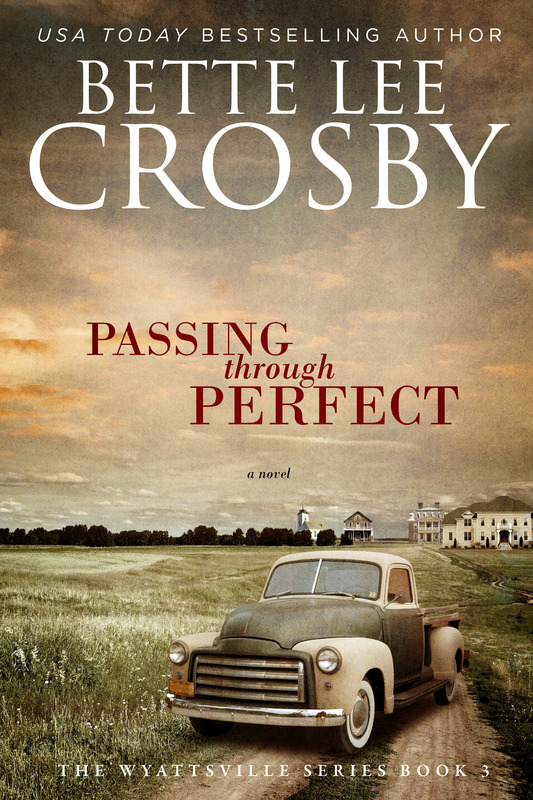 Not So Cozy Wednesday with Bette Lee Crosby – Author of Passing Through Perfect – Giveaway too! 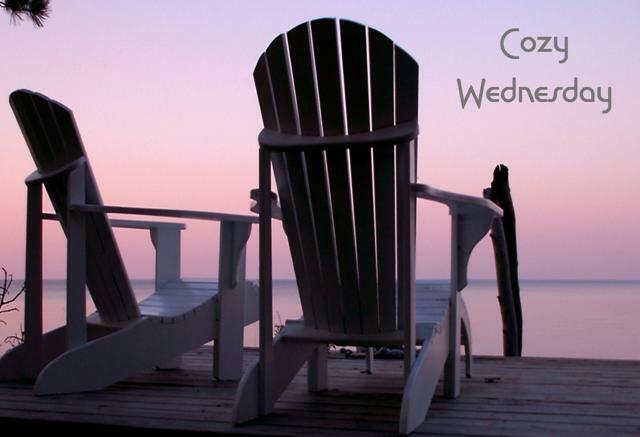 This week our Wednesday is not so cozy! but I think you may enjoy this author! 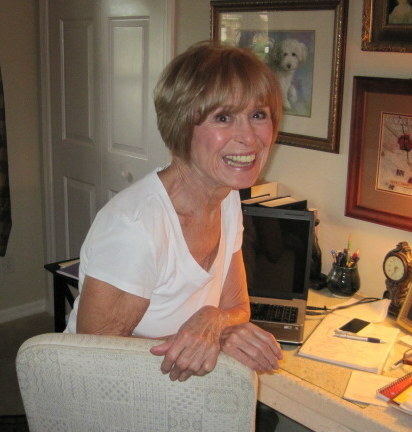 Bette Lee Crosby writes The Wyattsville Series. 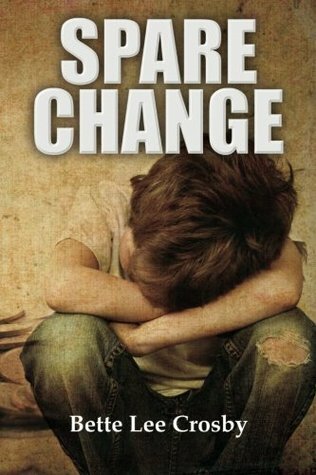 I reviewed the first book, Spare Change, back in February 2013. I read the second book,Jubilee’s Journey last month as my Just For Fun book and I hope to writing that review soon. The third book Passing through Perfect comes out today and Bette wanted to visit today so I decided to have a Not So Cozy Wednesday. I would classify these books at Historical Fiction. I have loved all 3 of these books and look forward to reading many more of her books. Please help me welcome Bette to Escape With Dollycas! Some books start with a title, some start with a story. I’ve written both kinds and I can honestly say there is no right or wrong way. Neither assures you that the book will be wonderful. The only way a writer can do that is by letting their heart loose to find purchase in words. “That’s surely true,” Olivia nodded. With Passing through Perfect, I didn’t have the title until the very end of the story and while I won’t spoil the book by sharing that scene here, I will tell you that we all pass through times of our life that are so absolutely perfect, we wish we could stay in the moment forever…unfortunately we can’t. But, you never know when the next “Perfect” is just around the corner. Crosby’s work was first recognized in 2006 when she received The National League of American Pen Women Award for a then unpublished manuscript. Since then, she has gone on to win numerous other awards, including The Reviewer’s Choice Award, FPA President’s Book Award Gold Medal and The Royal Palm Literary Award. Her published novels to date are: Cracks in the Sidewalk (2009), Spare Change (2011), The Twelfth Child (2012), What Matters Most (2013), Jubilee’s Journey (2013), Previously Loved Treasures (2014) and Wishing for Wonderful (2014). She also authored “Life in the Land of IS” a memoir of Lani Deauville, a woman the Guinness Book of Records lists as the world’s longest living quadriplegic. Crosby originally studied art and began her career as a packaging designer. When asked to write a few lines of copy for the back of a pantyhose package, she discovered a love for words that was irrepressible. After years of writing for business, she turned to works of fiction and never looked back. It’s 1946. The war is over. Millions of American soldiers are coming home and Benjamin Church is one of them. After four years of being away he thought things in Alabama would have changed, but they haven’t. Grinder’s Corner is as it’s always been—a hardscrabble burp in the road. It’s not much, but it’s home. When Benjamin attends a harvest festival in Twin Pines, he catches sight of Delia. Before their first dance ends, he knows for certain she’s the one. They fall madly in love; happily, impatiently, imprudently, in love. It doesn’t matter that her daddy is staunchly opposed to the thought of his daughter marrying a cotton farmer, never mind a poor one. It’s true Benjamin has little to offer; he’s a sharecropper who will spend his whole life sweating and slaving to do little more than put food on the table. But that’s how things are in Alabama. Benjamin is better off than most; he has a wife, a boy he adores, and a house that doesn’t leak rain. Yes, Benjamin considers himself a lucky man until the fateful night that changes everything. The first day I stepped on the set of Selma, I began to think this was bigger than a movie. As I got to know people of the civil rights movement, I realized: I am the hopeful black woman who was denied her right to vote; I am the caring white supporter, killed on the front lines of freedom; I am the unarmed black kid who maybe needed a hand but was instead given a bullet; I am the two fallen police officers murdered in the line of duty. Selma has awakened my humanity. Bette Lee Crosby’s Passing through Perfect takes us to Alabama when people of color entered only through the back door of white people’s houses and had separate bathrooms and water fountains. A time when colored people were not allowed in most stores. We have come past those times or have we. We have elected an African American President, but a portion of the country, including some members of Congress that do not support him because his father was a black man. We still have people who are being judged by the color of their skin by the police, by employers, by their neighbors. They are also judged by their economic status no matter what color their skin is. People living in poverty are considered lazy and living for government handouts. All these things are in Crosby’s book. Benjamin and Delia are both black. Benjamin is a farmer and a veteran. Delia’s father is a preacher. He believes Benjamin is not good enough from his daughter. Love doesn’t matter. Delia has to make a huge sacrifice to be with the man she loves. Then she sees the other side of life for people of color. Not every town in like her home town of Twin Pines. Grinder’s Corner is so small that they need to go to a bigger city for supplies and there are only a few places she and Benjamin are even allowed to enter. Even when Benjamin heads North and reaches Wyattsville everyone is not thrilled by his arrival. It even pits neighbor against neighbor. Crosby has written a powerful and moving story. Every story I have read by this author has stayed with long past the final word. There are spots that bring a smile and several that may cause you to shed a tear. Her characters are so engaging you immediately feel invested in their lives and you hope and pray they have better days ahead. I also hope and pray that people today that are being judged and held back have better days ahead. That there will be income equality, a stronger middle class, less people living in poverty, great education everyone can afford and that we all have equal rights. We have come so far in so many ways but have taken great steps backward in others. I wonder what historical novels written about 2014 will say about equality. This book has really made me think about what future generations may have to say. What stories will a future Bette Lee Crosby write? I am giving my Advance Review Copy away! Leave a comment for Bette for 5 Bonus Entries. This sounds like a thought-provoking story. I hope many people read it and stop and think. all. It would really be hard for Delia to adapt after living in an accepting area and moving to an area without tolerance or compassion. Your book sounds like it has captured an era that everyone should hear and learn from. This sounds like a good book. All of them do actually. I could have SWORN I’ve read one of Bette’s books before, but none of the covers look familiar. Very strange. Spooky almost. The covers are GREAT! I love the sound of your book. You seem to write wonderful dialog. Thank you for the giveaway! This book sounds captivating and unforgettable. Thanks for this feature and giveaway. i HEARD ABOUT THIS AUTHOR AND INTERESTED IN READING HER BOOK. Bette Lee Crosby writes about 1946 in Passing Through Perfect. It does seem like she’s writing a really good Historical Fiction novel. I’ve seen her blog at one time or another. I really enjoyed it. Knew she was a special author. I have read several of Bette’s books and LOVED each one. I am a member of her reader fan group as well. I enjoy historical stories, even without romance or a cozy mystery aspect. Bette makes the voices come through her words so clearly. I feel like one of the lucky people because I actually know when I’m having one of those ‘life is perfect’ moments. The cover of this book draws me in to being curious about the book. After reading what the story is about I know I would love to read this historical fiction. Sounds like a book that once you start reading it would be difficult to put down. Just lovEd this book along with the other wyattsville stories. I love to read books set in the 1940s and 1950s. This book looks really good and I’ll definitely be adding it to my TBR list.